Our festival just wouldn’t be the same without music! 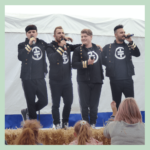 This year we are extra specially excited to announce that on Saturday 20thJuly we have the talented Take That Live back who wowed our crowds at 2018’s festival. 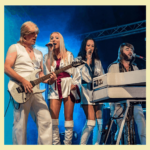 They will be followed by the amazing ABBA Revival, the winner of the National Tribute Awards. Get your flares on, don your boots, add a dusting of glitter and get ready to dance and sing the night away! Look out for our 1970’s fancy dress competition later on in the year. Get your tickets, grab the girls and get ready to sing Dancing Queen ?. It gets even better on Sunday with the gorgeous Little Fix, the UK’s No. 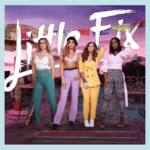 1 Little Mix Tribute Act who will get everyone shaking their booty and singing along! 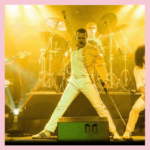 The girls are then followed by the talented Pure Magic, a Freddie Mercury tribute act guaranteed to have everyone singing Queen anthems! The Tribute Acts are supported throughout the weekend by our fantastically talented musicians and artists. We love supporting emerging Yorkshire talent and are once again welcoming back the Keating Brothers, Jamie & Jasper Squire, Niamh Mirfield and the lovely Stu Steels! We are on the lookout for other local artists too, if you are interested or know anyone who is please ask them to contact Amy at amy@eventsbyb3.co.uk. Our full musical line-up will be announced later in the year.